Since moving out into my own place, I've been overcome with this obsession for plants, in particular cacti and succulents (because I can't kill those ones thanks to low maintenance). 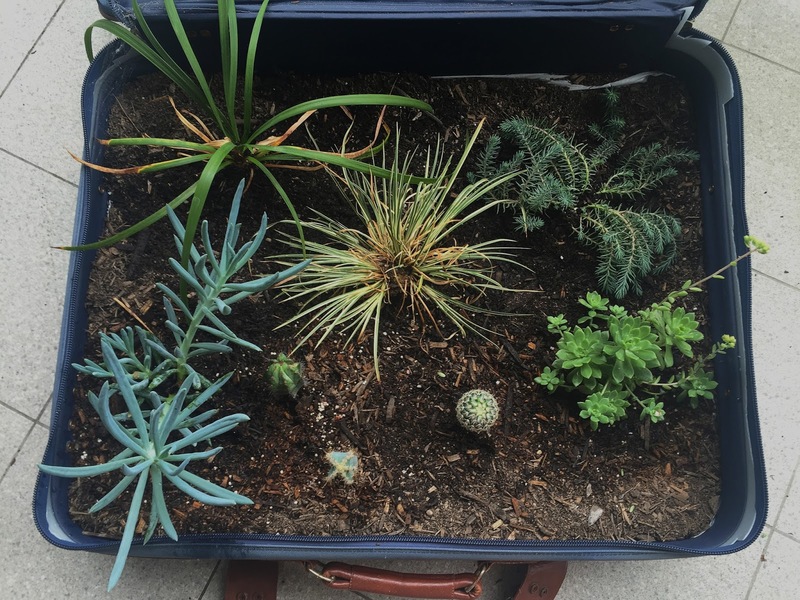 One part of my greenery wonderland, which I'm particularly proud of, is my suitcase garden! Creating this little wonder sort of came about by chance or fate. I was walking down to Darby Street after a game of barefoot bowls with some friends, when we came across this massive suitcase sitting abandoned out the front of a construction site. After playing around with it and zipping people up inside it, I was determined to take it home, it was just to good to throw away. I had always wanted a vintage-looking suitcase, I thought it would make cool storage. But this thing was massive, so I wasn't really sure what to do with it. That was when I decided to turn it into a garden. them off and throw them away. - Next, line the base with the drop sheet and also have a little bit creeping up the sides. 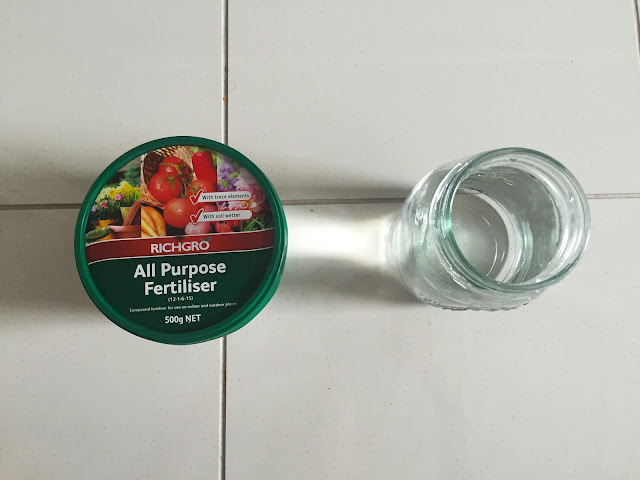 - Throw in your soil and create a nice level surface. 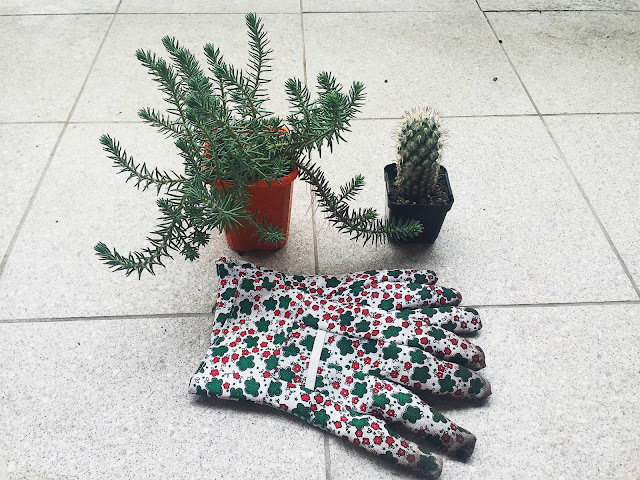 - After you've figured out how you want to arrange your plants, get planting. - Let that baby grow! It's a fairly simple idea and D.I.Y, but it does produce something super funky. I had a lot of fun and got a lot of satisfaction out of creating this masterpiece, so much so I have an offer for you. D.I.Y's are fun, but they mean you need some spare time on your hands, which we all know can be sparse these days. That however does not take away the fact that having one of these babies in your house would be pretty cool. 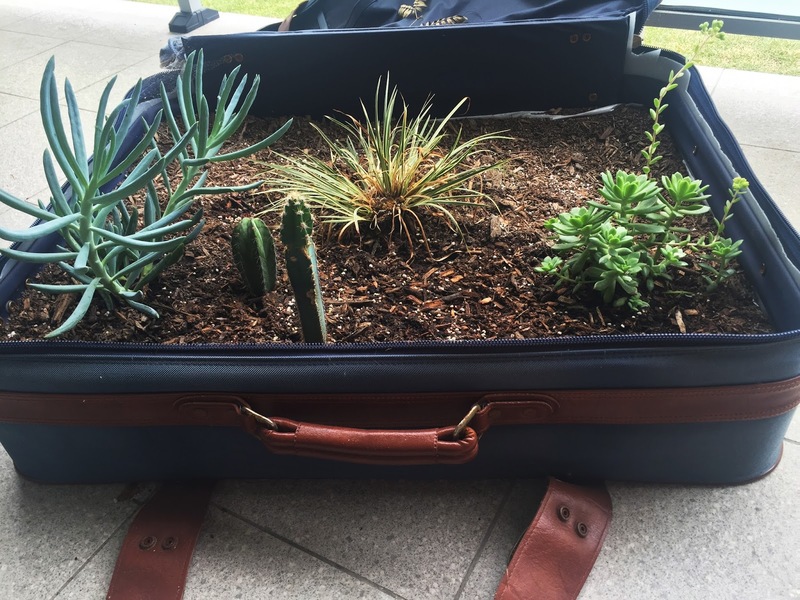 If the suitcase garden has caught your eye, and you would love to have one but are struggling to see when you would have the time to put one together, never fear because I can gladly come to your rescue. I would love to create it for you. A few months after creating this one the idea popped into my head that I could start up a small-side hobby of creating these for people. This is a work-in-progress idea and something that I think I will figure out how to work and manage as I go. So if you're keen to have one of these awesome garden features in your home and you want to chat more about getting one made up then either send me an email at noiseinwonderlandphotography@gmail.com or head over to my Facebook page and send me a message there. This is so cute! I love it! 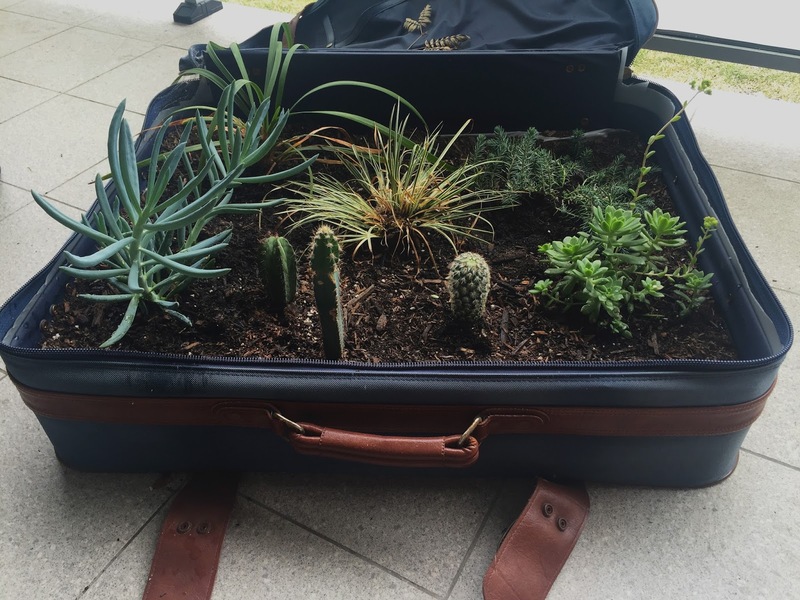 I mean I'm all for plants and then having them in this suitcase is fab!